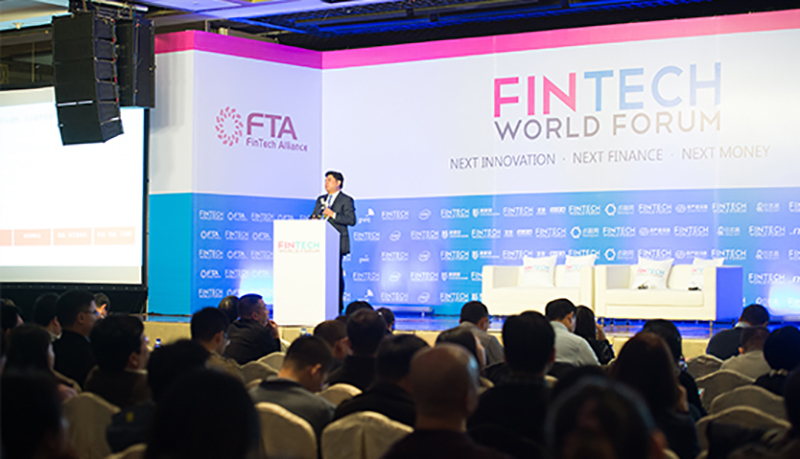 Fintech has become a global phenomenon and to help industry participants and enthusiasts to keep up with this burgeoning sector, several fintech events, conferences and trade shows are taking place this year to connect industry stakeholders and discuss the hottest trends in fintech. You want to attend some conferences? Here’s our pick of the top upcoming fintech events taking place in Asia. The Global Payment Summit aims to act as a strategic and pragmatic platform for and by senior professionals. The summit will cover key trends in the payments and the transaction space with a particular focus on developments in the “Smarter Transaction Space” and more cooperative solutions next to further disintermediation. The 2017 program will deliver a broader perspective than just ‘the payment’ , on-boarding, identity, security, and x-border transfers. Topics will include regulation, blockchain, remittances, and more. Get a 20% discount by using the code “FinSG20”. As insurtech is poised to disrupt the traditional insurance landscape in Hong Kong, the Future of Insurance Hong Kong conference will address the hottest trends in the area and tackling some of the most issuing challenges. Topics covered will include IoT, digital CX, transformation and cloud computing and cybersecurity, and will be tackled by representatives from the likes of AIA Group, Manulife Asia and Sun Life Financial. TECHX Asia 2017 will address the new possibilities arising from new emerging technologies such as the Internet-of-Things, Drones, 3D, artificial intelligence, GPS, robotics, blockchain, Big Data and cybersecurity. The conference will cover how these cutting edge technologies are transforming variety of industries including resources, agriculture, factories, logistics, transport, construction, utilities and cities. The event will feature 240 speakers representing the likes of Singapore Post, Grab, Lazada, BMW, as well as government officials from Iskandar Regional Development Authority of Malaysia, Government Group for High Technology (MIGHT) of Malaysia, the Embassy of the Kingdom of the Netherlands, the Economic Development Board of Singapore, and more. Over 85 exhibitors and startups will be demonstrating the various applications to help business survive and thrive in the new digital economy. Get a 10% discount by using the code “LNMK”. The third annual Chief Innovation Officer Summit will take place in Shanghai on September 6 and 7, at the Shanghai Marriott Hotel, and is set to gather over 100 innovation, R&D, IP and technology executives from a diverse range of industries. Firms represented will include Intel, COM, Nestle, McDonald’s and LEGO. Fintechnews subscribers can get an extra 10% discount on Early Bird tickets by using the code “FS10”. The Customer Experience Management Asia Summit is an annual event focusing on helping firms meet the expectations of digital-savvy customers. This year, the summit will feature 60+ customer experience (CX) industry leaders taking the stage to share best-in-class CX strategies including demonstrating CX ROI, building a customer-first digital ecosystem, unifying CX across the organization, enhancing the brand experience, structuring your VOC programs and more. 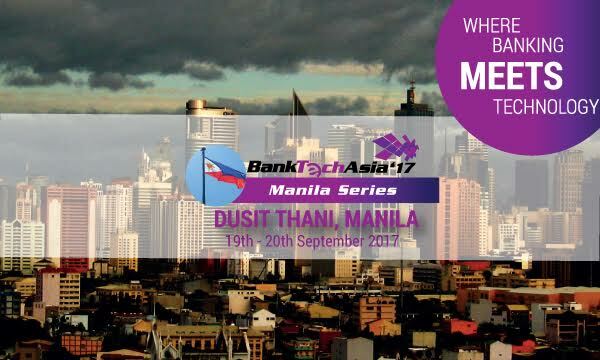 BankTech Asia returns to Philippines on the 19th – 20th September, the event will focus on keeping the bankers abreast with the latest trends and technologies within space while contextualizing to address local concerns. Details of the agenda is not available as of yet, however the organisers has indicated that the agenda will be ready in 1-2 weeks team. Hong Kong Fintech Week, by InvestHK, will showcase Hong Kong’s vibrant fintech ecosystem with a mix of local and international firms as well as support from the private and public sectors. The event will bring together leading international fintech companies and startups, accelerators, incubators and investors, for pitch, demo and networking sessions, as well as workshops. Digital Wealth Asia 2017 aims to act as a platform gathering the most influential participants in the wealth management community to drive the tech and digital revolution that’s been ongoing in the industry. The event will focus on helping industry participants understand the opportunities and challenges related to fintech, as well as boost innovation. The Singapore Fintech Festival event, organized annually by the Monetary Authority of Singapore, promises to bring exciting discussions, stimulating demos and insightful debates over the period of November 13-17, 2017. This year, the AVCJ Private Equity & Venture Forum returns to Hong Kong to celebrate its 30 years of service to the Asian private equity and venture capital industry. The AVCJ Private Equity & Venture Forum 2017 conference is expected to bring together over 1,000 of the world’s leading GPs, LPs and other professionals for three days of quality discussions, speeches and networking. The AVCJ Forum combines editorially driven topics, knowledgeable speakers and superior networking into an annual event that predict trends, hones strategies and creates lasting partnerships. FinTech World Forum promises to bring together the fintech ecosystem with an aim to help build relationships, share knowledge, and create business opportunities. It will also explore current trends and expanding, new market opportunities in the financial services sector. Innovators and leaders, ranging from major investors and corporations to philanthropists, entrepreneurs, and government will present a fascinating, multifaceted view of emerging markets and the future of financial services. 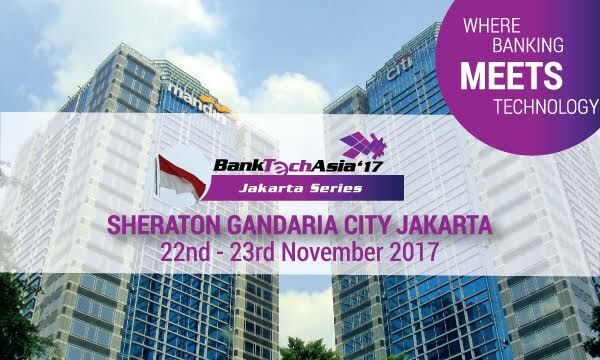 BankTech Asia returns to Indonesia on the 22nd– 23rd November, the event will focus on keeping the bankers abreast with the latest trends and technologies within space while contextualizing to address local concerns. 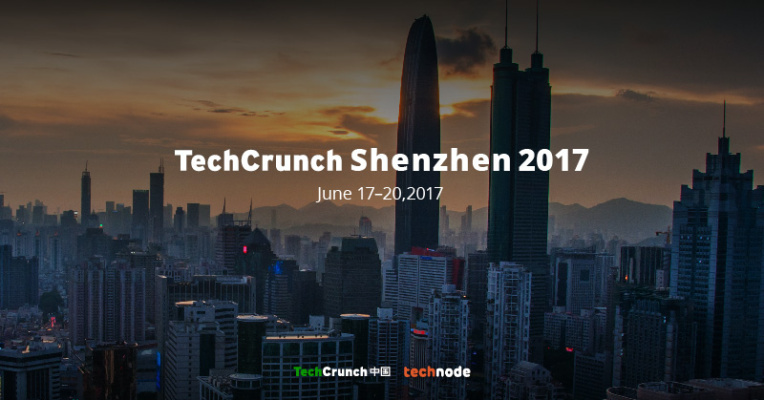 The TechCrunch Shenzhen 2017 in June, is set to be one of the largest TechCrunch events in China. The event will provide an innovation tour to some of the city’s top companies and manufacturers, allowing guests to catch a glimpse of Shenzhen’s tremendous innovation and production capacity. It will gather leading domestic and foreign media and host an international startup exhibition with more than 200 startups from around the world showing off their latest products and services. Startups from Singapore, Japan, Israel, Australia, the US, UK, and Germany will all be showcasing their latest products. TechCrunch Shenzhen will also bring together resources and talent with BMW, PSA Peugeot Citroen, Unilever, CITIC Group, and other leading corporations looking for companies and entrepreneurs at the cutting edge of innovation. The Blockchain for Finance Conference, APAC aims to help firms understand and examine the latest blockchain use cases and proofs of concepts to assess the viability of blockchain adoption within their organizations. The event will focus on several key topics such as the finance use cases of blockchain, the blockchain strategies, regulation, compliance and standards, the technology challenges and adopting blockchain. Speaking organizations will include UBS, Mizuho, China Construction Bank, Nordea, MUFG, BNY Mellon and Deutsche Bank. As a Fintechnews subscriber, use the discount code “FSG100” to get US$100 off on your conference pass. 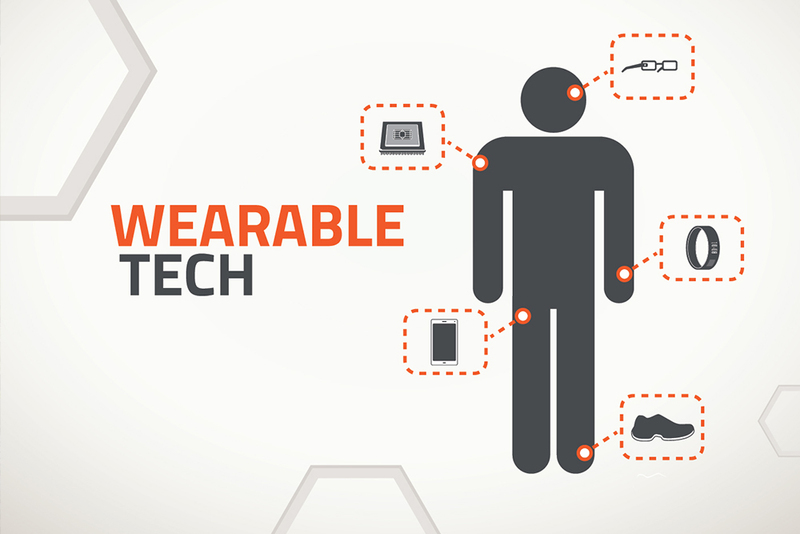 China Smart Wearable Devices And Apple Expo will showcase products from the electronics and electrical goods industry such as smart wearable devices, operators and mobile terminals, Apple peripheral products, APP exhibition, mobile device components and hardware, consumer electronics products, and more. Over 25 exhibitors have been confirmed for the 3-day trade show. Mobile World Congress Shanghai (MWC Shanghai) is set to be one of Asia’s biggest mobile events. Organized by the GSMA and held each year in the business hub of Shanghai, China, the mobile technology-focused event will bring together the global mobile industry from C-level mobile executives to tech-savvy consumers to experience a connected life full of exciting new technologies and products. The event will cover the latest mobile trends and developments with a particular focus on the Asian market. 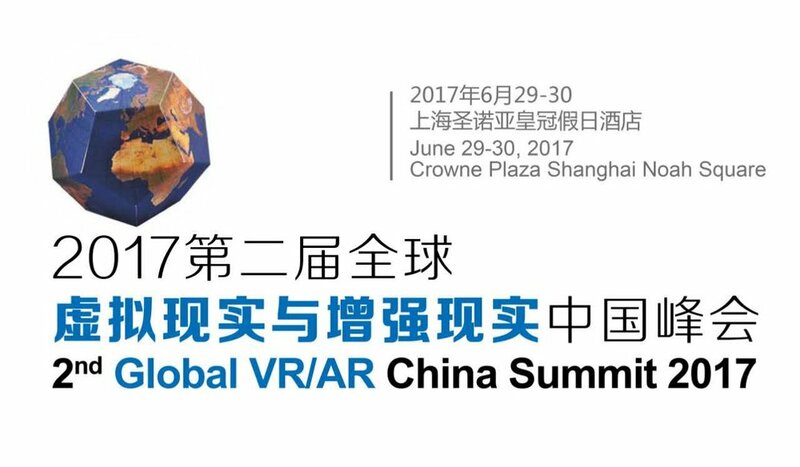 The 2nd Global VR/AR China Summit 2017 is set to gather more than 500 high level participants from 20+ countries to cover the whole value chain of the VR business and industry. In this event, over 30 VR/AR industry leaders will deliver presentations covering industry trends, new products release, emerging technologies and research achievements, and carry out diverse forms of interactions and partnerships. The event will feature a special road show/demo show for startups, as well as 1-on-1 meetings for exhibitors and sponsors. A VR/AR industry award ceremony will commend the companies that have made outstanding contributions to the industry. A two-day event, Hello Tomorrow Korea x Asian Leadership Conference will gather more than 2,000 technology, business and political leaders and entrepreneurs at the forefront of leadership and innovation. Participants will hear about the latest technological breakthroughs from artificial intelligence and genetic engineering to cellular agriculture, bio-based manufacturing, autonomous cars, visions for the future, how we addressing global issues and more. The Chief Innovation Officer Summit will bring together innovation executives from some of the world’s largest firms to share about how they are capturing the essence of innovation and leading the change in their organizations to drive business growth. Presentation led, the summit also features stimulating panel discussions, engaging workshops and breakout activities over the two days. Topics covered will include Innovation as a Business Process, Innovation as a Leadership Tool, Digital Innovation as a Business Revolution, The Role of the Chief Innovation Officer, Culture & Innovation, and more, with confirmed speakers representing the likes of SGInnovate, AXA Asia, DBS Bank, and Nestle. Get a 20% discount on all 2-day tickets by registering with the code “FS20”. 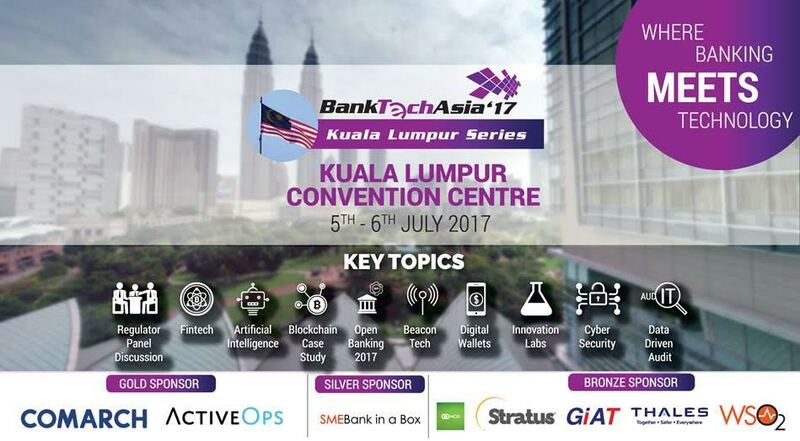 BankTech Asia is one of the longest running banking technology and fintech conference in the region. 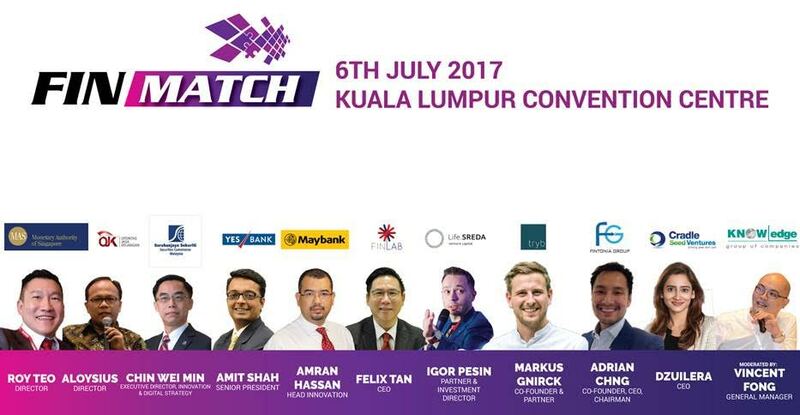 BankTech Asia’s flagship Kuala Lumpur event consists of a 2-days conference featuring more than 35 experts, and 3 concurrent streams that will look at various key developments in; payments and transactions, retail banking technology, and technology risk management with the underlying theme of fintech. The event highlights include Fin5ive, an handpicked session of the top five fintech solutions which will compete for the winning prize; and FinMatch, a session designed to connect fintech startups with banks, VCs and regulators. FinMatch session will be an intimate closed-door panel where leading banks and VCs will share what they’re looking for and regulators will share their views followed by a business matching session. The FinMatch session is designed to connect fintech startups with banks, VCs and regulators. LendIt China 2017 is a multi-day event dedicated to the fintech sector. It will begin with the LendIt China Executive Tour, a 9-day excursion for international fintech executives and fund managers that are seeking to raise capital from local fintech investors and learn more about China’s most innovative technology and finance companies. The tour is limited to 50 international fintech executives and will include excursions in Macau, Hong Kong, Beijing, and Shanghai. LendIt China 2017 will end with the Lang Di Fintech Conference, taking place on July 15 and 16 at the Kerry Hotel, Pudong Shanghai. Register now using the code “FNEWSHK17LDF” to get 15% off. Produced by the team behind Web Summit, RISE is one of the world’s biggest tech events gathering the industry’s leading firms, hottest startups and top investors to share their stories and experiences, and speak about emerging trends. This year in Hong Kong, RISE will bring together representatives from the likes of Alibaba, Stripe, Grab, Dianrong, the South China Morning Post, 500 Startups, and more. The 7th annual AVCJ Singapore Forum will provide an in-depth analysis and debate on the latest trends, challenges and opportunities for private markets investors attracted to Southeast Asia, as the next destination in their quest for diversifying their portfolios and delivering alpha. The event will bring together a network of over 130 institutional investors who are looking to meet fund managers from across the globe and make commitments to the asset class. Fintechnews reader can enjoy a 10% discount by using the code “AVCJSGFinTech10”. With the growing interest in Bitcoin and its impacts into the global marketplace, the 3-day Masterclass Blockchain 2.0 workshop will take on an advanced level of understanding Bitcoin and how it works under the hood. Participants will learn about the latest blockchain 2.0 projects, the features that set them apart, and how to leverage these technology for personal and business use. 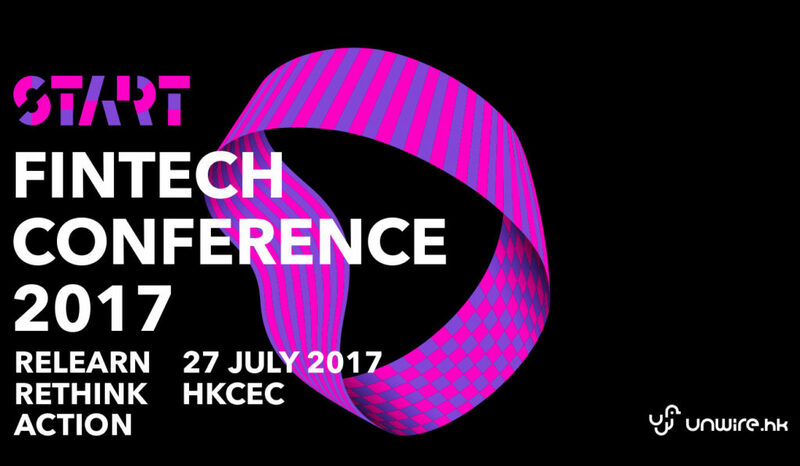 With the theme “Relearn, Rethink, Action”, START Fintech Conference 2017 will focus on taking a closer look at fintech in Hong Kong and other Asian countries. Speakers of START Fintech Conference 2017 will include respective fintech governors, fintech entrepreneurs and key fintech drivers and leaders in Asia, as well as bankers, technical and security experts, bitcoin and blockchain specialists, lawyers and educators. 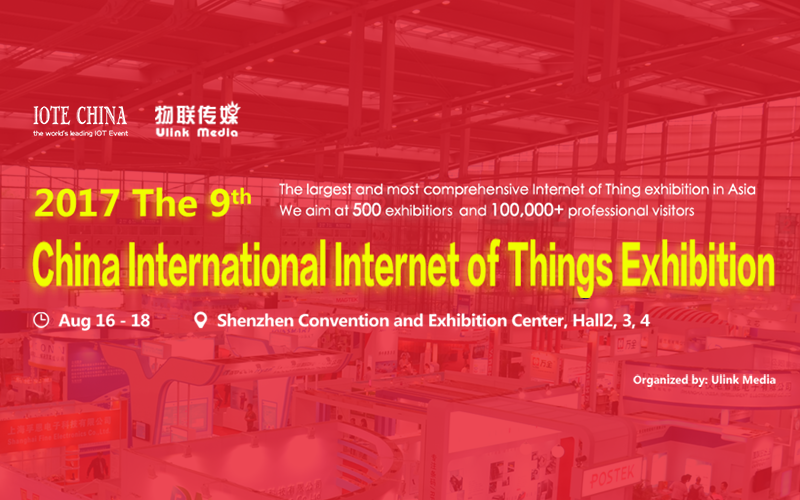 The 2017 Shenzhen International Internet of Things Exhibition is set to be the largest and most comprehensive Internet-of-Things (IoT) exhibition in Asia. The event will showcase the entire IoT industry chain and is is expected to attract some 500 exhibitors and 100,000 professional visitors.